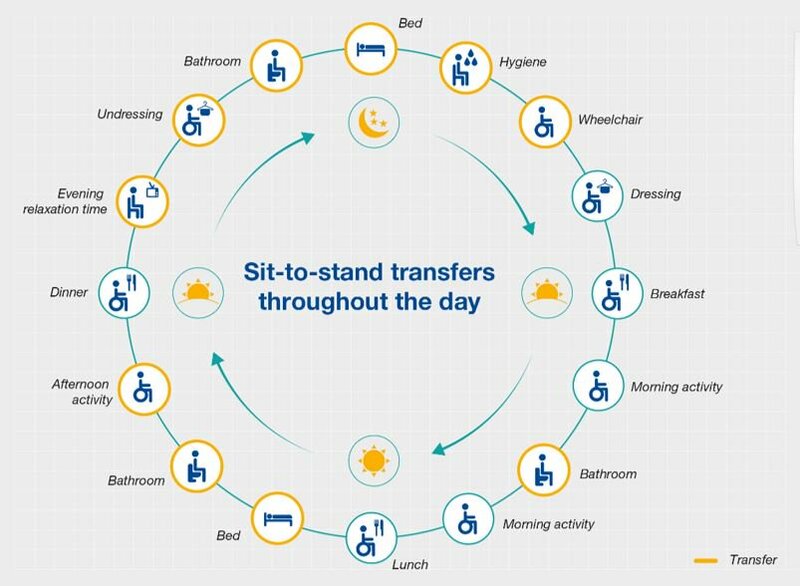 The graphic below demonstrates the potential frequency of standing and raising transfers performed with the aid of a caregiver in a typical 24 hour period. This is based upon the functional mobility level of a person who is incapable of performing the activities of daily living without assistance, but they are able to contribute to the action or perform part of the action independently. Click here to see how the Mobility Gallery™ can aid development of a higher standard of care, stemming from insights into - and monitoring of - the requirements and preconditions for this type of care, as well as for the wellbeing of caregivers.